​​Rejuvenating Barrier is the world’s only water-based skin barrier that creates soft, hydrated skin while providing an oil-free barrier of protection. The water-based formula quickly saturates the skin, leaving a smooth, satin finish making it the perfect hydrating product to use under makeup, as it enables cosmetics to be applied evenly. ​​​Eye Effects 3 restores hydration and delivers anti-aging nourishment to the thin, fragile skin around the eyes. Specifically formulated to target three critical signs of aging—fine lines around the eyes, under-eye puffiness, and dark circles—Eye Effects 3 improves overall skin structure with beautiful results. ​Skincerity Renew® contains all of the moisture-retaining and vital oxygen-releasing properties of Breathable Barrier® technology while providing the added benefits of natural collagen activation and telomere protection. ​​Body Silk utilizes a unique combination of oils and nutrients to hydrate your skin. This light barrier helps protect against harsh environmental conditions throughout the day and relieves dry and sensitive skin from head to toe. 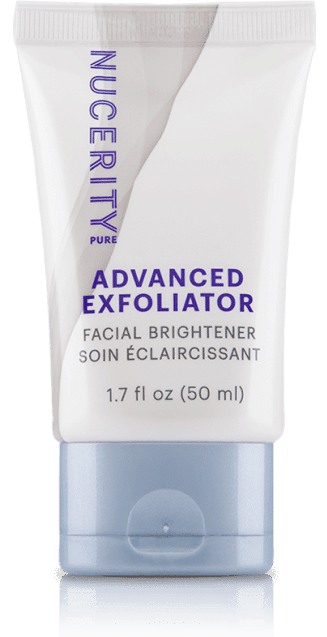 ​NuCerity Advanced Exfoliator is perfect for brightening the tone and texture of your face, but also great for smoothing and rejuvenating any dry, rough skin area such as elbows, knees, and heels.